The month of June has already kick-started and here we have another week this Monday. With a week full of doses of your favourite shows, this week promises to be interesting as usual. Here take a look at the 7 top shows not to be missed this week! Kartik and Naira, both have now changed their decisions to change the college and them studying in the same college means that their daily interactions will be something to watch out for. They will always stay close to each other and definitely it will bring them closer in due course of time. But the secret of Kartik and Naira, that they are married, is hidden from everyone in the college. What if this secret is revealed to everyone? Moreover what role do Tanvi and Kunal have to play in the story of Kartik and Naira? Watch out Yeh Rishta Kya Kehlata Hai to witness some beautiful moments of your beloved Kaira this week. Rajveer and Mahi have teamed up together against Aditya and Zoya. Rajveer wants to get them arrested as soon as possible so he requires Mahi’s help. Now they both will pose as major troubles for AdiYa. But meanwhile, Aditya and Zoya will definitely get some close moments while protecting each other. They having their own share of confusions and heartbreaks, will be able to heal each other, how much time it may take. With AdiYa trying their best to save themselves staying together, we have an interesting week ahead in Bepannaah for sure. With the #MeToo track full in action, we witnessed the supposed superstar Abhimanyu Raheja getting exposed in front of everyone. With all the proofs and accusations against him, finally he got what he deserved. This week maybe a new track will kick-start and with the Obros together. This week Ishqbaaz will welcome a Beagle fur ball entering the Oberoi mansion and it will be Tadibaaz SSO who will be scared because of the presence of the Dog. Adding more spice the show will take a mysterious turn, with the entry of the Oberoi’s new neighbours Rishabh and Rakesh. Rakesh will die and Shivaay will suspect foul play in his death and will share his concerns with Anika, Om, Rudra, Gauri and Bhavya. The Mr and Miss Fresher competition is over and we totally loved Sameer’s gesture to make his Naina smile. This week we will see Naina and Sameer having a bike ride. With Naina on the pillion and Sameer driving it, this scene will be a dream come true for them as well the fans after their failed attempt to do so during their school times. From here on, people in the college will take Sunaina’s name with Sameer as the Freshers of 1992. Moreover Sunaina likes Sameer too. How will Naina protect her ‘Malaayi Ka Katora’ from everybody? The upcoming college tracks seem hilarious and interesting too. Silsila Badalte Rishton Ka is the story of Mauli and Kunal and how it gets affected with the entry of Nandini, Mauli’s childhood friend. Nandini is subjected to domestic violence while Mauli seems happy in her life with Kunal. 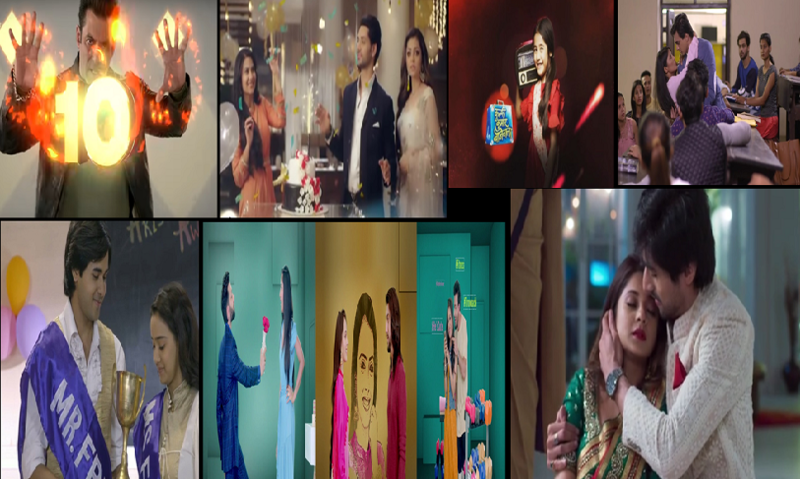 This new show of Colors promises romance and lots of drama. Based on extramarital affair, this serial will air its first episode this Monday. 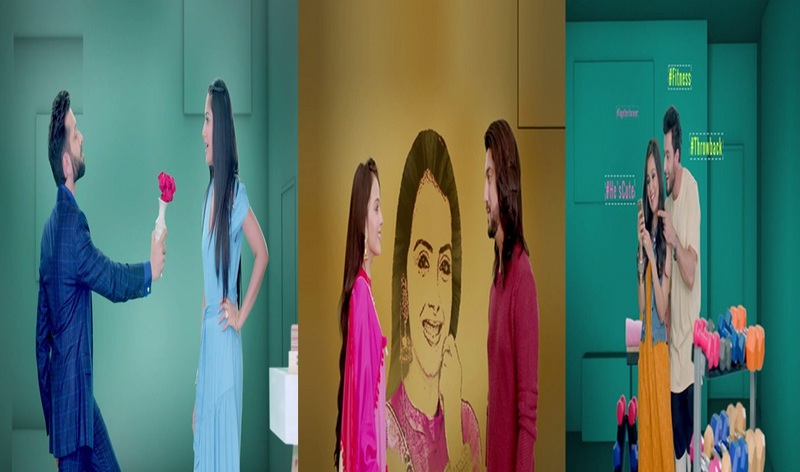 The promos look interesting and make this show a not to be missed one from the first week itself. The reality game show Dus Ka Dum will premiere this week on Sony TV. 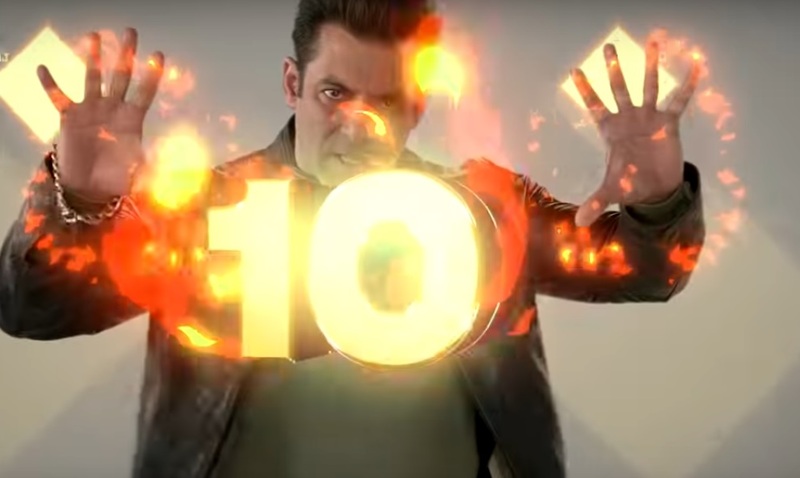 Hosted by the Bollywood superstar Salman Khan, this show is based on the polls conducted all over India. The participants will be asked a question, the answer of which is an average percentage of a mass opinion poll conducted across India. This show will attract viewers and will help Sony regain the television ratings. Things are going to be very interesting in Kullfi Kumarr Bajewaala this week. With a solid confrontation between Lovely and Sikander last week, we also saw Kullfi applying Haldi on her father’s wounds. Kullfi has been exploited and her voice has been taken advantage of. On the other hand, Sikander is impressed by the voice behind Amyra and he wants to find out the owner of such a sweet voice. This week we may witness Kullfi finally singing infront of Sikka. This will be a major turn in the show. Don’t forget tuning to Kullfi Kumarr Bajewaala this week for more. 5 Things We May Expect To Watch In Silsila Badalte Rishton Ka That Is All Set To Premiere Tonight! Zain Imam Shares The Scene From Naamkarann That He Personally Loved! Looking forward for IB….. Gul ma’am when can we expect full fledged character based tracks now…. I think social messages are about to finish n enuf to ignite discussions?